Our mission is to generate and disseminate knowledge regarding diet and nutrition to improve the health and economic development of current and future generations and to foster an educated society. We do this through our combined efforts in undergraduate and graduate education, research, and extension. Discover more information about the exciting projects going on in the Department of Nutritional Sciences by reading the NutriSci Digest Spring 2018, our spring news letter. NUTRITIONAL SCIENCES is one of 5 doctoral programs in the UW-Madison College of Agricultural and Life Sciences that rank in the top 15 percent in their respective fields, according to the National Research Council’s “Data-Based Assessment of Research-Doctorate Programs in the United States.” These national rankings are based on 20 characteristics including research productivity, interdisciplinary connections, degree completion rates and student demographics. 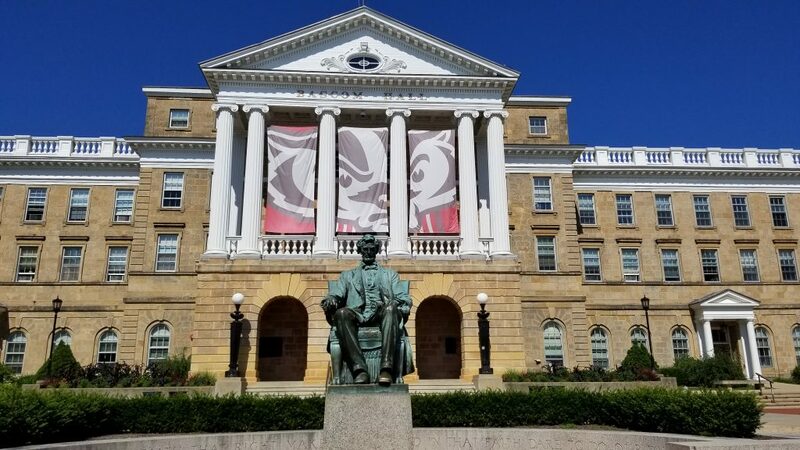 The University of Wisconsin at Madison was established in 1848 and is now the largest of the 13 universities that make up the University of Wisconsin System. The nearly 1,000 acre campus is located on the shore of Lake Mendota within one mile of the center of the City of Madison and the State Capitol Building. This public, land-grant college currently has an undergraduate enrollment of over 28,000 and also serves nearly 9,000 graduate and professional students, for a total enrollment of about 40,000 students. The University is consistently rated as one of the top 10 universities in the nation in overall teaching and research excellence and in the ability to attract federal research funding. The Medical School, the School of Veterinary Medicine, and a basic science oriented College of Agricultural and Life Sciences are located on the Madison campus, resulting in a strength in the biological sciences that is unsurpassed anywhere. Research scientists on the campus are located in over 146 academic departments and may also participate in a number of interdisciplinary programs. 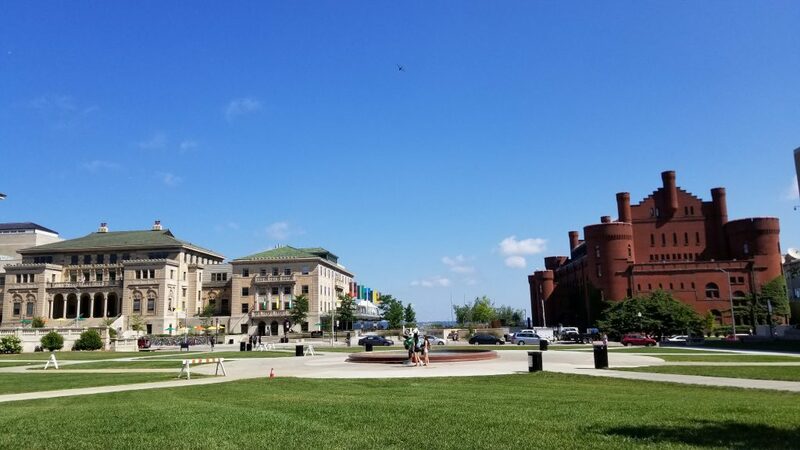 The attractive physical location of the campus, the diversity of the student population, and the wide range of social, athletic, and cultural events available on a large campus make the UW-Madison a very pleasant place to carry out graduate studies. The City of Madison is the Wisconsin state capital and, with a population of over 200,000, is the State’s second-largest city. Madison is located on an isthmus between two beautiful lakes and is 150 miles northwest of Chicago, and about 70 miles west of Milwaukee. The airport is convenient to the University campus, and excellent air service is available. Madison and the southern Wisconsin area offer excellent facilities and opportunities for extracurricular activities. Access to the four lakes within the city provides for ice-boating, ice-skating, and ice-fishing in winter, and boating, sailing, canoeing, swimming, water skiing, and fishing in the summer. Tennis, biking, and golfing are popular summer sports, and cross-country and downhill skiing are common winter activities. There are excellent indoor campus facilities for swimming, tennis, racquetball, squash, and ice-skating. Students live in all parts of the city, although they are concentrated near the campus; more than half live within one mile of the campus. Madison has an excellent bus system with frequent service to the campus from all directions, and many students commute by bicycle – bicycle paths are common and growing more so.